Trinity Lutheran Church is a congregation of about 190 souls, 159 communicant members. The congregation began as a preaching station the fall of 1950 as the Rev. Paul Stueckler, pastor of Zion Lutheran Church, El Paso, TX, assisted by the Rev. Alvin Starke of Immanuel, Roswell, NM, scheduled worship services on Sunday evenings. 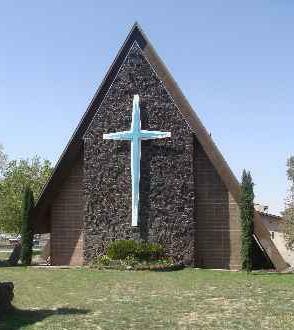 The family of Richard Bunker had inquired of Pastor Stueckler about traveling to Alamogordo to conduct services. A son and daughter of Richard and Minnie Bunker, Marvin Bunker and Darlene Gilmore and their spouses are still members of the congregation.